Asphalt Pavement Solutions was established in the spring of 1983 by its current President, John Verzi. It started out as a PT weekend residential driveway business which took hold very fast. By 1984 APS became a full-time asphalt maintenance company specializing in sealcoating, hot rubberized crack sealing and line striping. Our mission from the beginning was to provide the best quality service possible while maintaining a close relationships with his customers. When Asphalt Pavement Solutions is hired for a project, you can rest assured that we will be there when scheduled and provide you with a quality job. We have been doing that for 31 years. With professional care, your asphalt pavement should provide an excellent return on your investment, giving you decades of use. However, if you fail to repair cracks or protect the surface with sealant, your asphalt can fail years before it should. The main problem with neglecting maintenance and repairs is that water can reach the base that supports the asphalt. The water can cause erosion and destabilize the base, and when temperatures drop below freezing, the water will expand, which results in even greater loss of support for the asphalt. Asphalt pavement in Cherry Hill, NJ, must endure a variety of weather conditions that can quickly turn minor issues into major damages. Winters are typically wet and cold, and statistically, freezing temperatures routinely occur from December through March. Summers are normally mild, but temperatures can break the 90-degree (Fahrenheit) mark, and there have been days when the highs reached triple digits. The changing temperatures can impact the expansion and contraction of the asphalt, the foundation and any water that might be trapped between the two. These cycles can cause cracks in the asphalt that will worsen if not repaired. Asphalt Pavement Solutions counts among a number of residential and commercial customers that rely on us to keep their parking lots properly maintained and repaired. All of our work is performed by our own highly trained crews, we never employ sub-contractors. We have the expertise, equipment, and skills to handle all of your asphalt services in Cherry Hill , NJ. You can use our online form to request a free quote, or feel free to call us on the number at the top of this page. Asphalt Crack Repair -- Crack repair is critical to the longevity of your pavement. We can professionally prepare and seal cracks so that they will not allow in water over time. Our crack sealing methods are time-tested, effective, and economical. Learn more about crack sealing services offered in Cherry Hill, NJ! Asphalt Repair -- When pavement begins to fall into disrepair, it is critical to address even the smallest problems. We repair anything from small potholes to large sections of your lot. Learn more about parking lot repair in Cherry Hill, NJ! Sealcoating -- The sun's ultraviolet light can harden and dry out your asphalt. We recommend sealcoating your lot for the first time within the first year of installation and regularly thereafter. Proper maintenance can even double the life of your pavement investment. Learn more about asphalt sealcoating services in Cherry Hill, NJ. Asphalt Pavement Solutions has specialized in parking lot striping and pavement maintenance for over 3 decades. We can also develop a long-term maintenance plan that can combine preventative maintenance and prompt repairs so that the life of your pavement can be extended. APS is proud to offer high-quality asphalt maintenance in Cherry Hill, NJ. 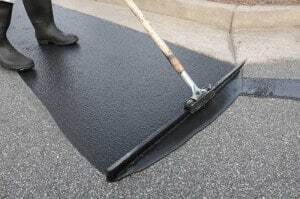 We can also maintain and tackle your toughest asphalt pavement repairs.